Professor Wilfrid Kendall works mostly in probability theory, with particular interests in: random processes, stochastic geometry, stochastic calculus, computer algebra in statistics and probability, and perfect simulation. 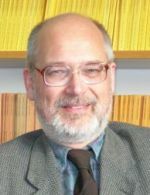 He has served as President of the Bernoulli Society, was founding co-director of APTS (2007-2017), and was one of 3 organizers of the EPSRC-funded workshop Probability 2008: New Scaling Limits and Other Recent Developments, Monday 31st March to Friday 4th April 2008. He has recently been PI on two EPSRC-funded projects: Inside-out: Statistical methods for Computed Tomography validation of complex structures in Additive Layer Manufacturing and Probabilistic coupling and nilpotent diffusions, as well as PI for the EPSRC grant supporting APTS. He is now PI on the EPSRC-funded project Dirichlet forms and Markov chain Monte Carlo. Contact him at; w dot s dot kendall at warwick dot ac dot uk. An old list of preprints is available at http://www.warwick.ac.uk/go/wsk/ppt. Slides for some recent talks are available here. (with P.A. Ernst, G.O. Roberts and J.S. Rosenthal) MEXIT: Maximal un-coupling times for stochastic processes. Stochastic Processes and their Applications, 129, 355-380. (Gold Access!) See also arxiv.org/abs/1702.03917. (with S. Banerjee) Coupling Polynomial Stratonovich Integrals: the two-dimensional Brownian case. Electronic Journal of Probability, 23, Paper 24, 43pp [Open Access!]. See also arxiv.org/abs/1705.01600. (with E. Candellero) Coupling of Brownian motions in Banach spaces, Electronic Communications in Probability, 23. Paper 29, 13pp [Open Access!]. See also arxiv.org/abs/1705.08300. (with G. Zanella and M. Bédard) A Dirichlet Form approach to MCMC Optimal Scaling, Stochastic Processes and their Applications, 127, 12, 4053–4082 [Gold Access!]. See also arxiv.org/abs/1606.01528. From Random Lines to Metric Spaces. Annals of Probability, 45(1), 469–517. See also arxiv.org/abs/1403.1156. (with S. Banerjee) Rigidity for Markovian maximal couplings of elliptic diffusions. Probability Theory and Related Fields, 168, 1-2, 55-112 [Gold Access!]. See also arxiv.org/abs/1506.04804. (with A. Kueh, J.W. Warnett, G.J. Gibbons, J. Brettschneider, T.E. Nichols, M.A. Williams) Modelling the Penumbra in Computed Tomography. Journal of X-Ray Science and Technology, 24.2, 583-597 [Gold Access!]. (with S. Banerjee) Coupling the Kolmogorov Diffusion: maximality and efficiency considerations. Advances in Applied Probability, 48A, 15-35 [Free Access!]. See also arxiv.org/abs/1506.04804. (with S.B. Connor) Perfect Simulation of M/G/c Queues. Advances in Applied Probability, 47(4), 1039-1063. See also arxiv.org/abs/1402.7248. Kendall, W. S. (2015). Coupling, local times, immersions. Bernoulli Journal, 21(2), 1014–1046. See also arxiv.org/abs/1212.1670. Introduction to ​CFTP using R. In Stochastic Geometry, Spatial Statistics, and Random Fields: Models and Algorithms, edited by Volker Schmidt, Springer Lecture Notes in Mathematics 2120, pp. 405-439. Return to the Poissonian City, Journal of Applied Probability, 51A, 297-309. See also arxiv.org/abs/1309.7645. Lines and Networks, Markov Processes and Related Fields, 20(1), 81-106. (with M. Bramson and K. Burdzy) Rubber Bands, Pursuit Games and Shy Couplings, Proceedings of the London Mathematical Society, 109(1), 121-160. See also arxiv.org/abs/1207.0597. (with Sung Nok Chiu, Dietrich Stoyan, and Josef Mecke) Stochastic Geometry and its Applications, 3rd edition. Wiley (584 pp). Modules for Anglo-Saxon constructions. Two page appendix to "Grid-Planning in Anglo-Saxon Settlements: the Short Perch and the four-Perch Module" by John Blair, Anglo-Saxon Studies in Archaeology and History, 18, 18-61. (with Alberto Sorrentino, Adam M. Johansen, John A. D. Aston, Thomas E. Nichols) Dynamic filtering of static dipoles in magnetoencephalography, Ann. Appl. Statistics, 7(2), 955-988. See also arxiv.org/abs/1205.6310. (with M. Bramson and K. Burdzy) Shy Couplings, CAT(0) Spaces, and the Lion and Man, Ann. Probab., 41(2), 744-784. See also arxiv.org:1007.3199. (with B.J. Hill and E. Thonnes) Fibre-generated point processes and fields of orientations, Ann. Appl. Statistics, 6(3) 994-1020. See also arxiv.org:1109.0701. (with H. Le) Limit theorems for empirical Fréchet means of independent and non-identically distributed manifold-valued random variables. Brazilian Journal of Probability and Statistics, 25 (3) (November 2011), 323-352. See also arxiv.org:1102.0228. Geodesics and flows in a Poissonian city. Ann. Appl. Probab. 21 (3), 801-842. See also arXiv:0910.5115. Coupling time distribution asymptotics for some couplings of the Lévy stochastic area. Chapter 19 of Probability and Mathematical Genetics: Papers in Honour of Sir John Kingman, London Math. Soc. Lecture Note Ser. Cambridge: Cambridge Univ. Press. See also arXiv:math.PR/1002.4348. (co-edited with I. Molchanov) New perspectives in stochastic geometry, January 2010, 608 pages, 40 illustrations. Oxford; Oxford University Press. (with H. Le) Statistical Shape Theory, chapter in New perspectives in Stochastic Geometry as above. Academy for PhD Training in Statistics (APTS), MSOR Connections, 9, 53-55. Brownian couplings, convexity, and shy-ness, Electronic Communications in Probability 14, Paper 7, 66-80. See also arXiv:0809.4682. Networks and Poisson line patterns: fluctuation asymptotics. In New Perspectives in Stochastic Geometry, Oberwolfach Reports, Volume 5, No.4, 2670-2672. (with D. Stoyan, J. Mecke) Stochastic Geometry and its Applications, October 2008, (2nd edition, now in paperback), 456 pages, Chichester, New York; Wiley. (with D.J. Aldous) Short-length routes in low-cost networks via Poisson line patterns. Advances in Applied Probability, 40 (1) (March 2008), 1-21. See also arXiv:math/0701140. (with S.B. Connor) Perfect Simulation for a Class of Positive Recurrent Markov Chains. Ann. Appl. Probab. 17 (3), 781-808, also Correction. Perfect simulation for a class of positive recurrent Markov chains. Ann. Appl. Probab. Volume 17, Number 5-6 (2007), 1808-1810. See also arXiv:math/0601174. Coupling all the Lévy stochastic areas of multidimensional Brownian motion. Ann. Probab. 35 (3), 935-953. See also arXiv:math/0512336. (with J. Marin and C. Robert) Confidence bands for Brownian motion and applications to Monte Carlo simulation. Statistics and Computing, Volume 17 Number 1 (2007), 1-10. (co-edited with F. Liang and J.-S. Wang) Markov chain Monte Carlo: Innovations and Applications, November 2005, 240 pages, Singapore; World Scientific. Geometric Ergodicity and Perfect Simulation, Electronic Communications in Probability 9, Paper 7, 140-151. See also arXiv:math/0410012. (with C.J. Price) Coupling Iterated Kolmogorov Diffusions. Electronic Journal of Probability 9, Paper 13, 382-410. (with R.G. Wilson) Ising models and multiresolution quad-trees. Advances in Applied Probability 35 (1), 96-122. (with A. Brix) Simulation of cluster point processes without edge effects. Advances in Applied Probability 34 (2), 267-280. (with Y. Cai) Perfect simulation for correlated Poisson random variables conditioned to be positive. Statistics and Computing 12, 229-243. (with G. Montana) Small sets and Markov transition densities. Stochastic Processes and Their Applications 99 (2), 177-194. (with A. Bhalerao, E. Thönnes and R. Wilson) Inferring vascular structure from 2D and 3D imagery In: Medical Image Computing and Computer-Assisted Intervention, proceedings of MICCAI 2001, edited by W.J. Niessen and M.A. Viergever, Springer Lecture Notes in Computer Science 2208, 820-828. Symbolic Itô calculus: an ongoing story. Statistics and Computing, 11, 25-35. Gambling with the Truth: Markov chain Monte Carlo. In: Challenges for the 21st Century: ICFS Mathematics and Theoretical Physics, Singapore March 2000, edited by L.H.Y. Chen, J.P. Jesudason, C.H. Lai, C.H. Oh, K.K. Phua and E.-C. Tan, Singapore; World Scientific, 83-101. (with K. Burdzy) Efficient Markovian couplings: examples and counterexamples. The Annals of Applied Probability 10 (2), 362-40. Stationary countable dense random sets. Advances in Applied Probability 32 (1), 86-100. (with J. Møller) Perfect simulation using dominating processes on ordered state spaces, with application to locally stable point processes. Advances in Applied Probability 32 (3), 844-865. (with C.J. Price) Zeros of Brownian Polynomials. Stochastics and Stochastic Reports 70, 271-308. (edited with O.E. Barndorff-Nielsen and M.N.M. van Lieshout) Stochastic Geometry: Likelihood and Computation, Monographs on Statistics and Applied Probability 80, New York; Chapman and Hall / CRC. (with J.M. Corcuera) Riemannian barycentres and geodesic convexity. Math. Proc. Camb. Phil. Soc. 127 (2), 253-269. Geometry, statistics, and shape. In: Geometry in Present Day Science, edited by O.E. Barndorff-Nielsen and E.B. Vedel-Jensen, Singapore; World Scientific, 143-163. (with M.N.M. van Lieshout and A.J. Baddeley) Quermass-interaction processes: conditions for stability. Advances in Applied Probability 31.2, 315-342. (with E. Thönnes) Perfect Simulation in Stochastic Geometry. Pattern Recognition 32 (9), 1569-1586. (with J. Jost, U. Mosco, M. Röckner and K.-T. Sturm) New Directions in Dirichlet Forms, International Press, Volume 8, Providence RI; American Mathematical Society. Perfect simulation for the area-interaction point process. In: Probability Towards 2000, edited by L. Accardi and C.C. Heyde. Lecture Notes in Statistics, volume 128, New York; Springer-Verlag, 218-234. A diffusion model for Bookstein triangle shape. Advances in Applied Probability 30 (2), 317-334.